1. 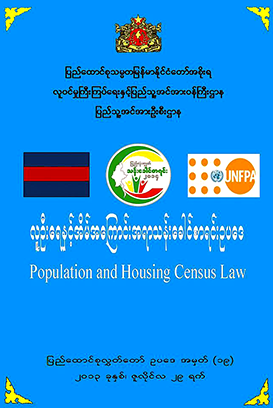 The international community is well aware that the Burmese/Myanmar military dictatorship is persistently denying the Rohingya people a ‘peaceful living’ in their own homeland on grounds of their ethnicity, religion and South Asian appearance in contrast to Southeast Asian. 2. More than half of Rohingya population were expelled or have had to leave Burma for various destinations of the world to escape large-scale persecution mainly by the military. 3. 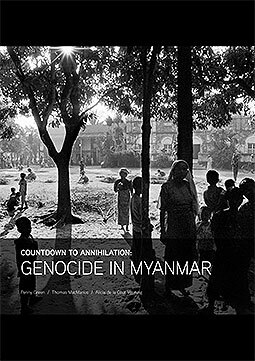 Since July 2012, hundreds of Rohingya and other Muslims have been brutally murdered, their large settlements devastated, villages and mosques torched, and their women raped in state-sponsored murderous violence where the government forces have been implicit or directly taken part, which cannot be denied because of the well-documented reports of discovery of mass graves, victims’ testimonies and prima facie evidence, including satellite images. 4. More than 140,000 Rohingyas were herded to apartheid and Nazi-like squalid displacement camps for more than 3 years creating an impossible situation for their living and survival. 5. Many thousands of them risked their lives by rickety boats towards ASEAN countries in particular and a number of them were victimized at the hands of the human traffickers, scores of others got drowned in Bay of Bengal and Strait of Malacca while many were rescued or arrested in countries within the region. 6. The Burmese military government is guilty of the denial of Rohingya’s historicity, their existence and ethnocide and subjecting them to state terrorism, ethnic cleansing and a ‘slow but systematic genocide’. These are international crimes with international jurisdiction. 7. Burma is responsible for the Rohingya boat people and refugee crisis affecting ASEAN and it requires the regional bloc to review its policy towards Burma as it violates ASEAN Charter or commitment for “promotion and protection of human rights within the ASEAN nations”. 8. Meanwhile, we urge upon ASEAN and the international community to put pressure on the Myanmar government, to end persecution against helpless and defenceless Rohingya and to ensure their rights and freedom with full citizenship and ethnic rights. It should be stressed that human rights are universal and violation of human rights cannot be pleaded as internal affairs of a country. 9. Last not least, there will flourish no democracy in Myanmar without ensuring the human rights of Rohingya. Because ‘human rights are linked to democracy’. This entry was posted in Press Release, Rohingya and tagged Arakan, ARNO, Burma, condemn, Rakhine, Rohingya. Bookmark the permalink.